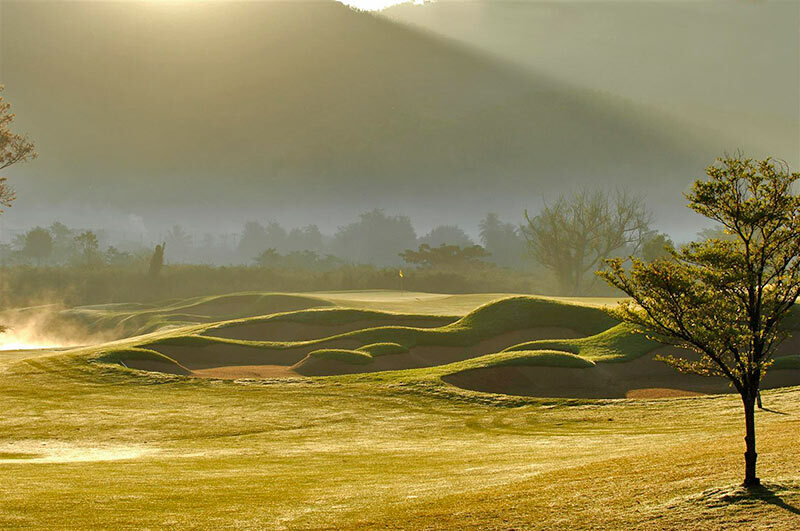 Designed by Mr. Lee Schmidt & Mr. Brian Curley of Schmidt-Curley Design Inc., Golf Magazine’s Architects of the Year in 2011, Chiangmai Highlands Golf Club received the accolade "Best Value For Money Golf Course in Asia" from Asian Golf Monthly in 2013. At just over 7,200 yards, the par-72 course is orchestrated like a classic piece of music, building to a crescendo at the signature 18th hole. The front nine use fairly flat land, while the back nine climb up into the foothills. True to Schmidt-Curley’s typical design, there are around 100 bunkers, enhancing the beautiful but distracting views, and punishing any lapse in concentration. 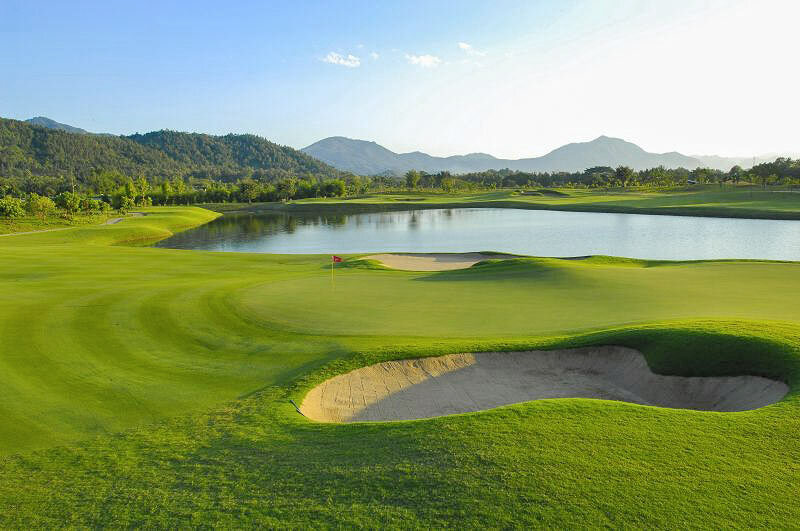 Hole 3 par 5 provides the first real test of the golfer’s skill, it has water running down the left side and most players will take three shots just to get within reach of the green. 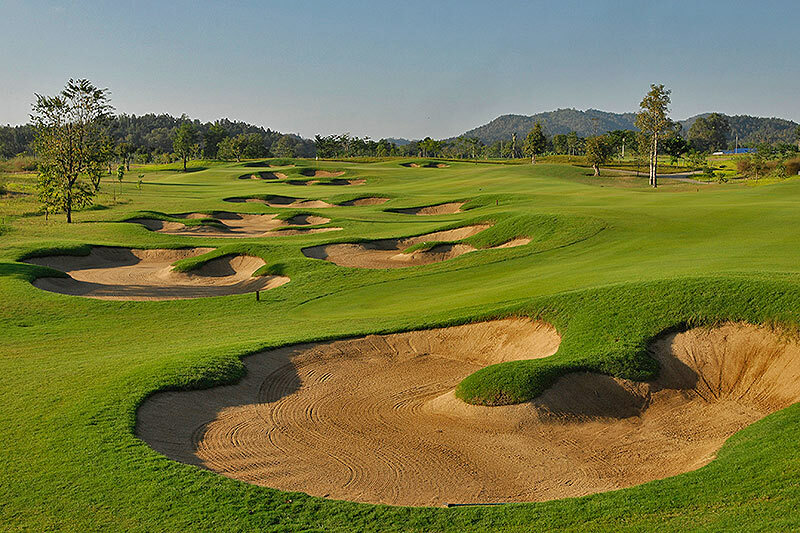 Hole 8 par 4, offers more challenge, with 10 bunkers, including three at the front of the green and two behind, all waiting to swallow balls. On the back nine, hole 16 is a real test. 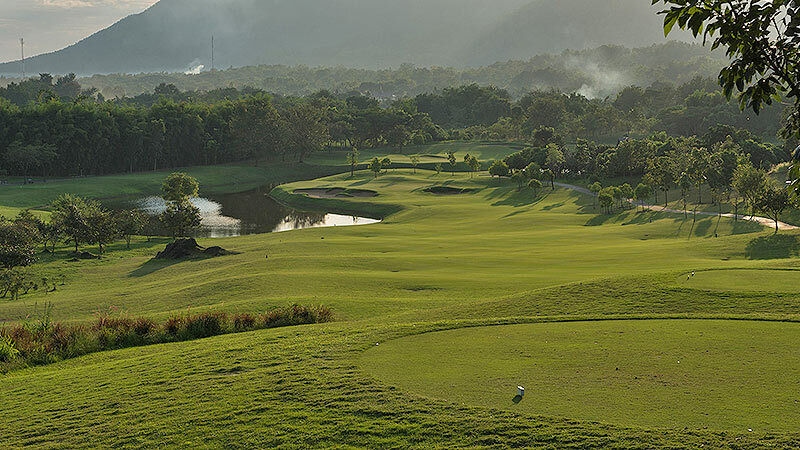 A long par 4 with a huge bunker guarding the green, it has a steep slope down from the green into the valley below for any player who puts the ball too far to the right. The signature hole is left for last, the par 5 18th hole. The fairway falls away from the tee, with a stream running across at the lowest point, 125 yards out from the green. The green is protected, naturally, by four bunkers. A fitting highlight to the golf course. The resort has a fine restaurant, villa accommodation and a spa to ease muscles working hard around the golf course. 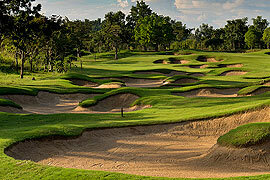 'Green Fee Only' rate is NOT include compulsory caddy fee of 380 Baht/person. Rates above are NOT inclusive of caddy tip. 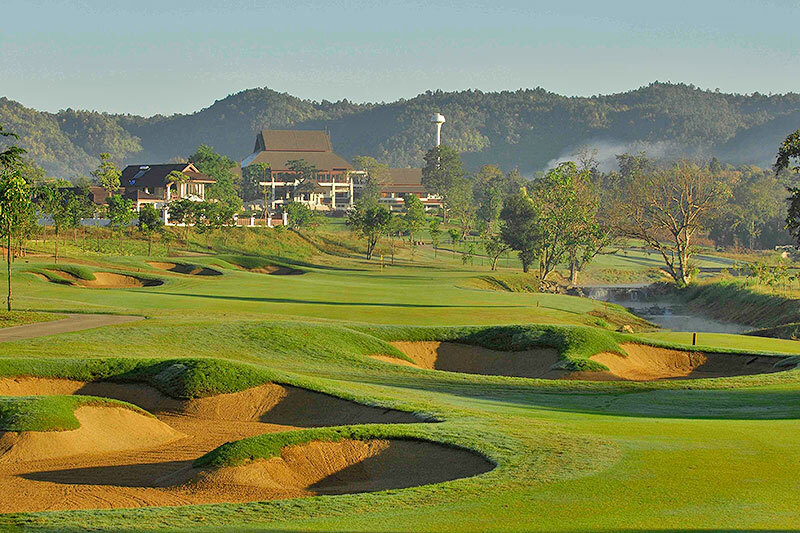 Chiangmai Highlands Golf and Spa Resort has recommended to tip their caddy from 300 Baht. You can give it directly to your caddy after the game. 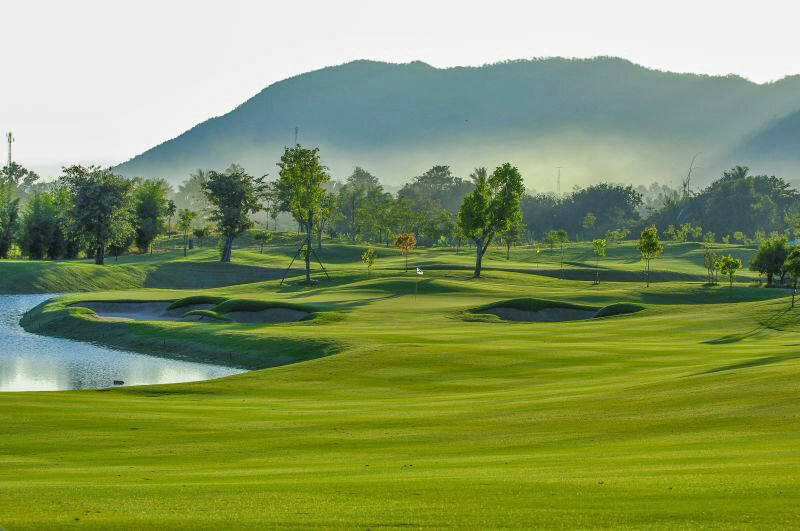 Follower fee of 1,350 Baht/person must be paid to the proshop, if you have non-golfers accompany into the course please inform us in the booking form. 2 nights stay in a room of your choice. 60 Minutes Foot Massage per golfer.